Is Glenn Chelsea's secret weapon? 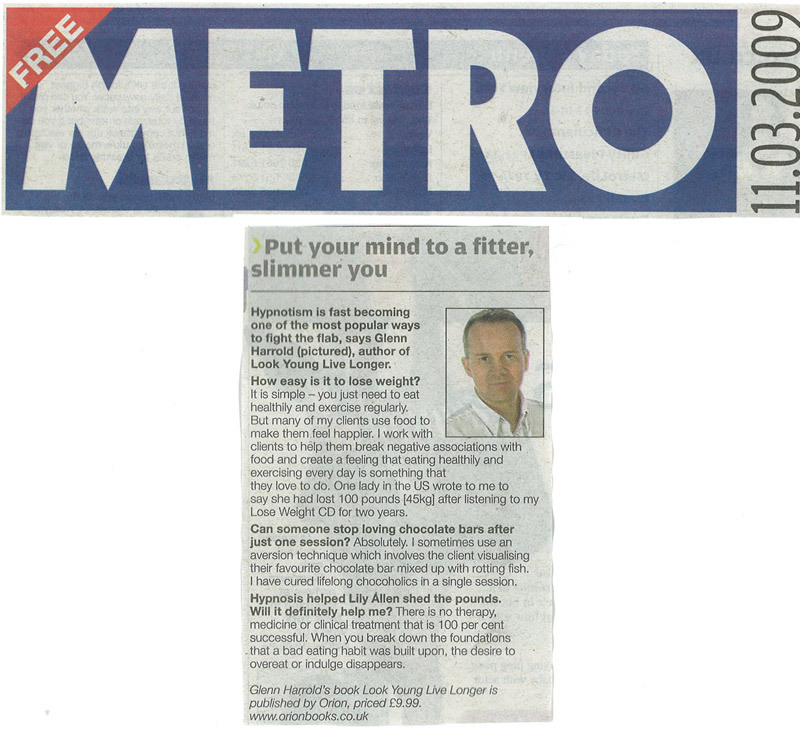 "I did feel pretty rough for a few days after my hypnotherapy session with Glenn) as my body was missing the sugar, but that soon passed and I feel I’m finally free of my sugar cravings and chocolate addiction! I tried a piece of chocolate to see what happened and it tasted horrible!" 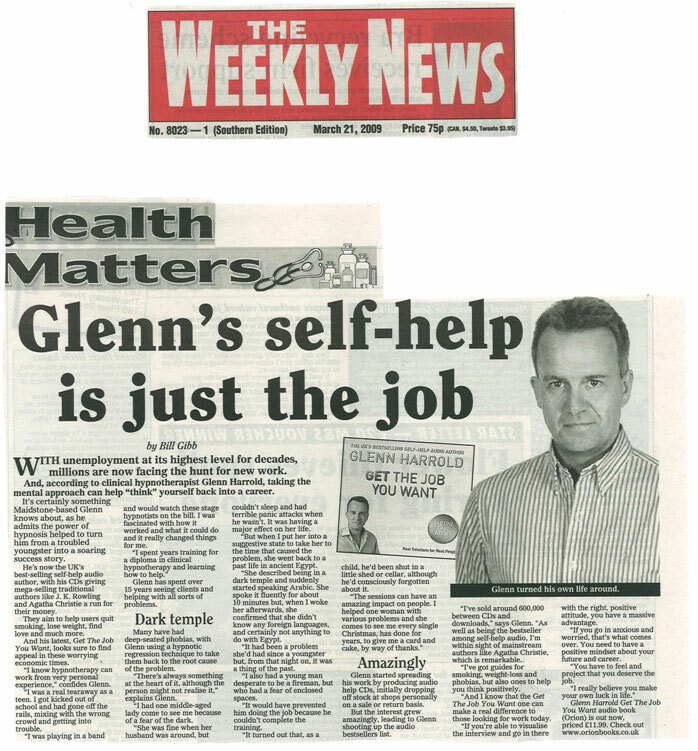 "What sets Glenn aside from other hypnotists is that he firstly listens to what it is you want to achieve and then begins to dig deep to understand the root of the problem rather than automatically blaming it on childhood experiences, which I have found other hypnotists do. I have found Glenn to be extremely engaging with a likable and calming nature. He has a way of making you feel at complete ease even when you are talking about a difficult subject. Most importantly Glenn has delivered, and for me that is the icing on the cake!" "Sleep doesn’t come easily to me... I have too much of an active mind that never seems to want to switch off, so the only way I can get off to sleep is by using a meditation app. I’ve found a really good one by Glenn Harrold and it works every time." "When it comes the the power of the sub- conscious mind, Glenn Harold is the man. 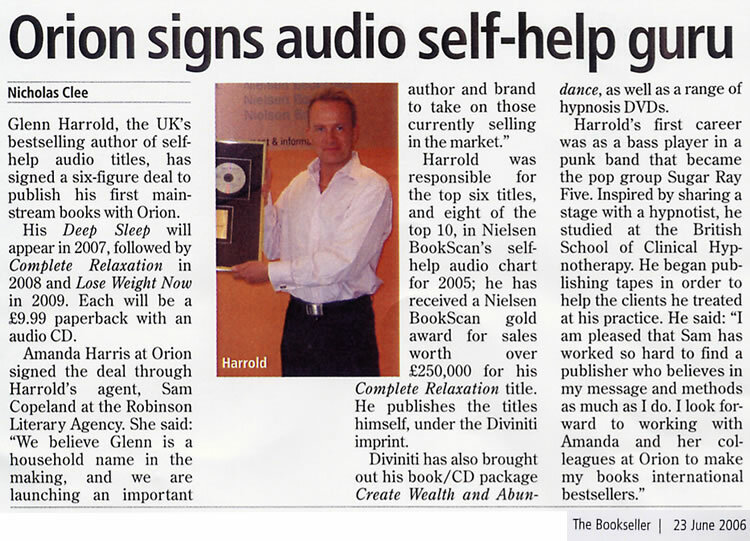 He is the UK's best-selling non-fiction audio author and for good reason. His books and audio CDs/downloads have helped hundreds of thousands of people all over the world. If you allow him into your world, you won't regret it!" "Glenn is refreshingly real. He's kind of 'rough and ready made good' and his honest approach to setting goals, tips to de-stress and take control of your own life really ring true. The book comes with an excellent audio CD too. Perfect for anyone who is put off by seemingly smug self help gurus. 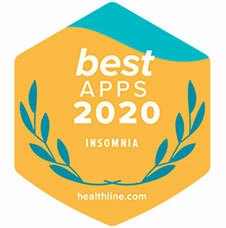 Glenn is the real deal"
"If you guys are looking for a good app I’ve downloaded so many and the one I always go back to is Relax & Sleep Well by Glenn Harrold... he has the best voice ever!" "I’m big fan of your app. Started with just the free sleep audio and now I’m about 8 packages in. I just make a playlist and play it while i sleep. Happy to share your work as it has been beneficial to me so many ways!" "I'm so happy to have Glenn Harrold as my friend. His work offers a wonderful mix of mystery, talent and genuine love. In fact, I reckon that Glenn is Britain's best kept secret. Who knew that he was a multi-million selling author and recording artist? With his humble ways and his ability to act normal in a crowd, you wouldn't guess it. But I bet either you or someone you know has been boosted by one of Glenn's many books, apps or recordings. And if you haven't yet been soothed by Glenn, I urge you to seek his work out… Everyone could do with a little more Glenn and a lot less stress in their lives!" "I'm a firm believer that everyone should keep calm and listen to Glenn Harrold. Thanks to Glenn, our family has peacefully overcome a few challenges and are now much healthier in mind body, and spirit. Bright blessings to you Glenn and many thanks to you once more." "Thank you for your Solfeggio apps. I have them all, have used them consistently for 2 years, and they have greatly improved my life in so many ways." "Glenn Harrold gets our gold star this month. Glenn is a huge inspiration after overcoming his own life struggles to achieve success by helping others, and is one of the most selfless, lovely people we have ever had the pleasure of working with." "Hypnotic heartbeat paced sound effects and heavenly music lull you into a relaxed state and boy do they work." 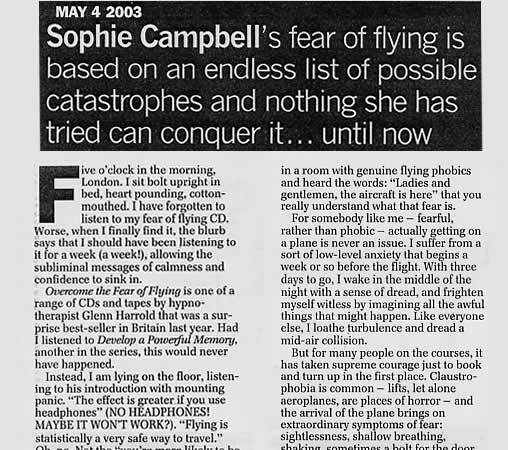 "I was startled by the effectiveness of this self-hypnosis audio." "I can honestly say that the effectiveness of Glenn's methods absolutely shocked me. I had entered the room as a sceptic and was blown away." "My sessions with Glenn really helped and it was quite an uplifting experience. I went under really easily. Glenn had such a calming voice and I felt totally safe." "Then he hypnotised me, which basically meant getting me into the most relaxed state I'd ever known. Half an hour later I came round thinking I'd had my eyes closed for 10 minutes. I felt amazing!" "Glenn cured my (fish phobia) and fear of watching people eat seafood. It's brilliant - I'm most happy about being able to go in the sea again!" 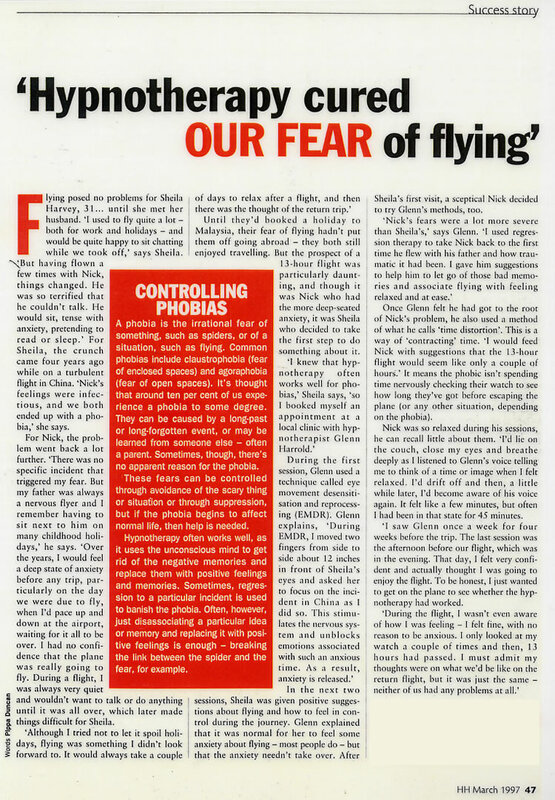 "I was sceptical about the idea of hypnosis to begin with, but in just two hour-long sessions, Glenn had got to the bottom of my (balloon) phobia. At the end of the session, he made me blow up a balloon, which I'd never done before. I felt really good about myself." "This (Energy & Motivation CD) sent me into a state of complete relaxation, physically and mentally. It helped me sleep too." "Glenn Harrold has extraordinary skills, not only as a musician but a healer. The sheer number of people he has helped over the years is a testament to this." "I am a PhD psychotherapist since 96-prior to that since 80's I studied/practiced hypnosis. As such I am VERY picky. I came across your Mindfulness for Anxiety. I have to say, it's the first hypnosis/guided meditation that I have been thrilled with... Thank you - well done. It takes a LOT to get my attention!" "You will then be able to listen to an amazing and relaxing session. I am not just saying this, but the sessions are absolutely amazing." 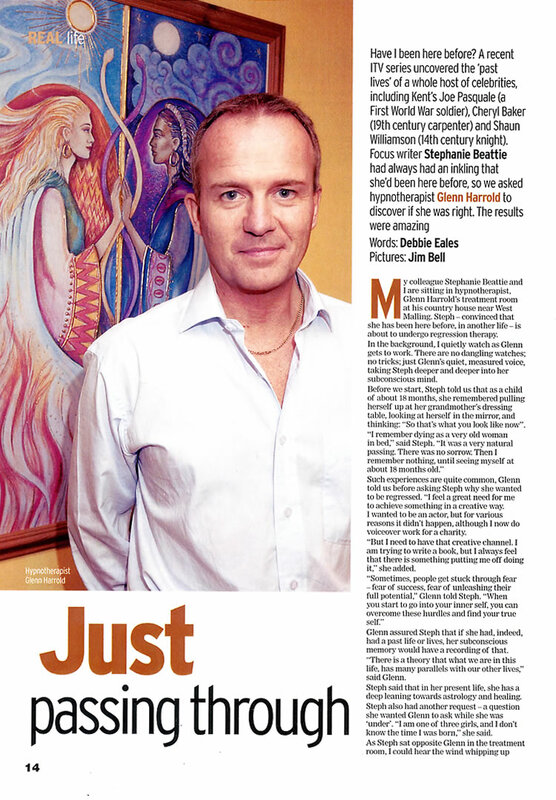 "Glenn Harrold is not only the world's best hypnotherapist. He's also a brilliant musician!" "I have been using a sleep hypnotherapy app by Glenn Harrold for a few years now and tell everyone about it because it helps you relax and unwind at bedtime. In about 15-20 minutes you are asleep!" "What I like about Glenn’s hypnosis is not only the fact that it is a ‘guided hypnosis and meditation’ but many of them also include a ‘Solfeggio’ frequency which is even more powerful and effective. I actually have downloaded over a dozen of his hypnosis apps as he offers hypnosis therapy meditations for better sleep, lose weight, relationships, healing your body, mindfulness, and more. I have them on my phone and have been listening or meditating to them every single night for over four years!"